Dianapure International Co., Ltd. was founded at 1997 in the middle part of Taiwan. We sold the RO purification systems from USA and water ionizer devices from Japan for the initiation niche. Our main products including energy water, alkaline water, water ionizer, water ionizers, hot water heater & cold water coolers, hot water dispenser, hot water dispensers, function & multi function faucets, top faucets, semi automatic faucets, dual & triple housing water filters, triple housing with UV sterilized filters, wall mount water filters, DRO & DRO P RO water purifiers, commercial & industrial RO water purifying systems, RO purify ( purification) systems, reverse osmosis waters and related equipment. After the accumulation of experiences in maintenance, repairing and foreign experts' skill, we began to step into the field of research and new products development. We held many patents and passed many international safety regulations like as CE, Chinese Sanitary Permission, 3C, and the certification of Multi-functions Water. We will keep our efforts to innovate and create better products for our retailers and customers. Be the most reliable partner in the world. 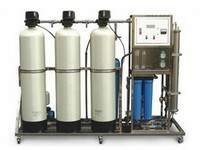 we provide water treatment supplies- (1) energy water, alkaline water. (2) water ionizer, water ionizers- counter top, under sink and commercial water purifiers, premium acidic and questions water ionizers. (3) hot water heater & cold water coolers, hot water dispenser, hot water dispensers. (4) faucets- function & multi function faucets, top faucets, semi automatic faucets. (5) water purifiers- single, dual & triple housing water filters, triple housing with UV sterilized filters, wall mount water filters. 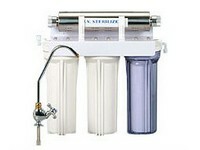 (6) water purifiers, DRO & DRO P RO water purifiers. (7) industrial RO systems- commercial & industrial RO water purifying systems, RO purify systems, reverse osmosis waters, compact RO systems, water purifier filters, drinking water machines, home water purifiers, home RO systems, water filtrations. (8) water dispensers- water auto compensation, triple temperature and dual temperature water dispensers. (9) kitchen sink, kitchen sinks, kitchen hot water heaters, kitchen cold water coolers, ultraviolet lamps, ozone generator, water filters, water softeners, booth pumps, RO membranes, pressure tanks, plumbing connectors, plastic tubes, filter housings, water regulators, water testing instruments, OEM and ODM water treatment, electronic controllers, energy water producers, alkali water producers.